Our proposal seeks to build upon the exciting and wonderful urban plan of Edwin Lutyens. 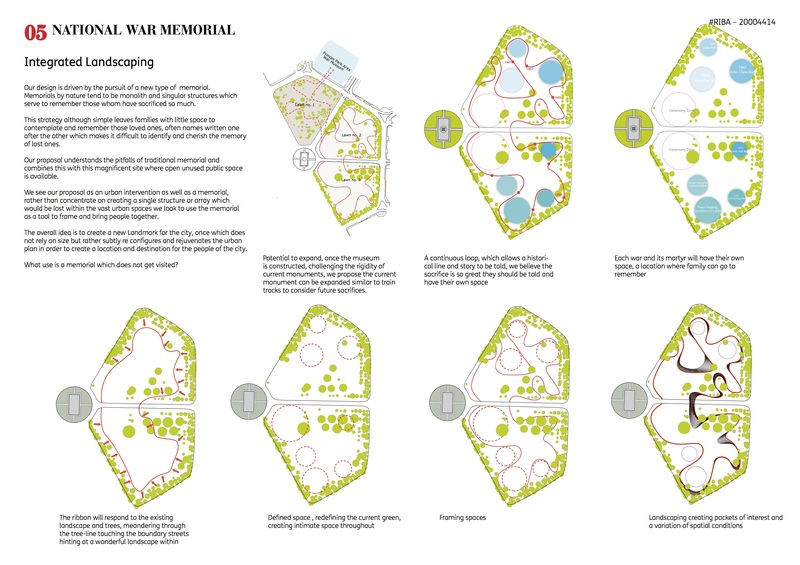 The garden city deserves a new kind of monument one which allows us to remember the sacrifice made but also updates the current urban plan and allows us to bring life and rejuvenate the current underused spaces into and active part of the city. Doing so within the wonderful garden city plan and backdrop of other architectural and monumental achievements. The vast urban Spaces give us the opportunity to create monument which also gives back to the city. 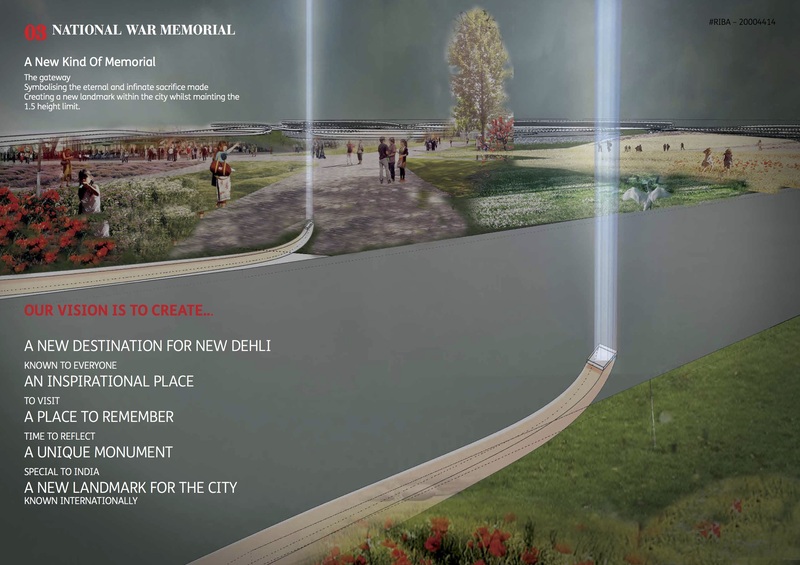 The monument whilst remembering will create a fluid element which creates personal space to reflect, space for ceremony but also a new land- mark and use for under utilised urban space in the city. 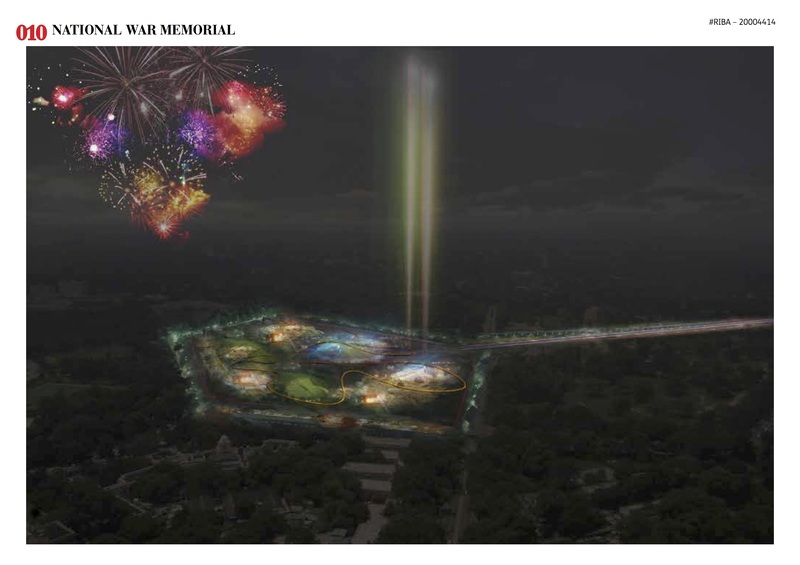 The scale of the greens also means any single element or wall will be lost within the open space. 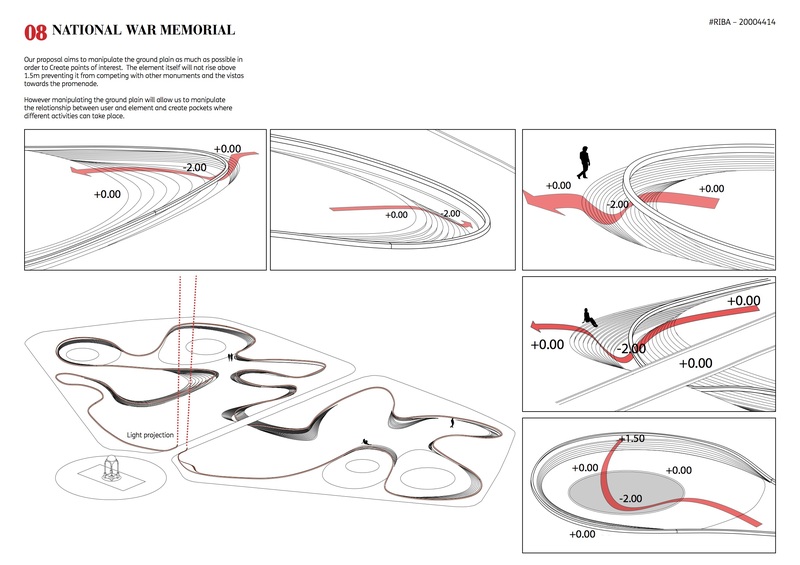 Our design is driven by the pursuit of a new type of memorial. Memorials by nature tend to be monolith and singular structures which serve to remember those whom have sacrificed so much. This strategy although simple leaves families with little space to contemplate and remember those loved ones, often names written one after the other which makes it difficult to identify and cherish the memory of lost ones. 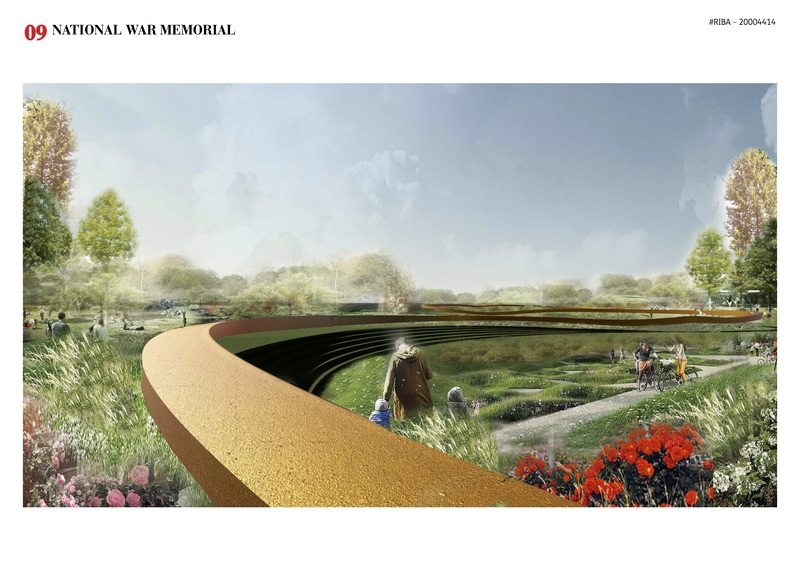 Our proposal understands the pitfalls of traditional memorial and combines this with this magnificent site where open unused public space is available. 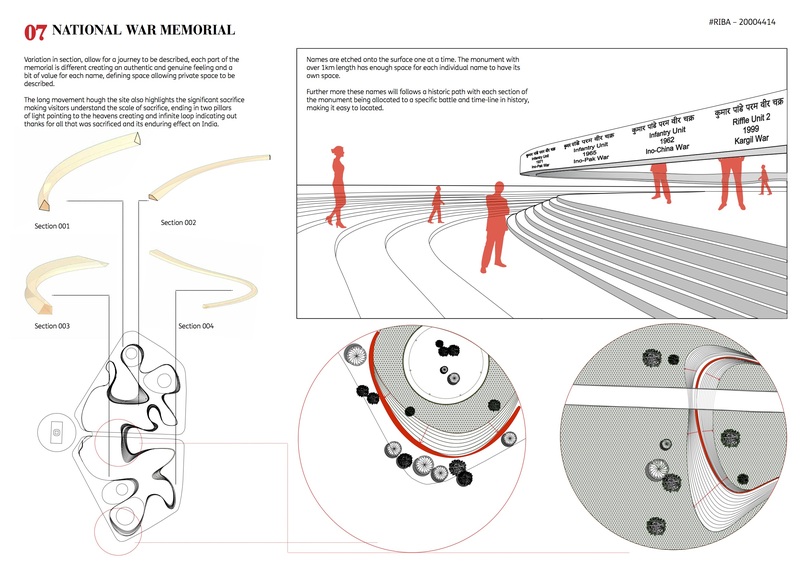 We see our proposal as an urban intervention as well as a memorial, rather than concentrate on creating a single structure or array which would be lost within the vast urban spaces we look to use the memorial as a tool to frame and bring people together. The overall idea is to create a new Landmark for the city, once which does not rely on size but rather subtly re configures and rejuvenates the urban plan in order to create a location and destination for the people of the city. 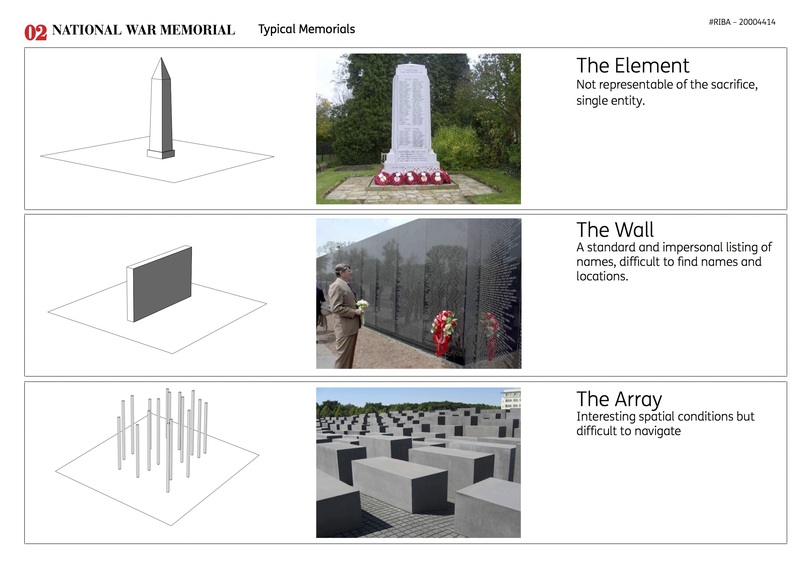 What use is a memorial which does not get visited? 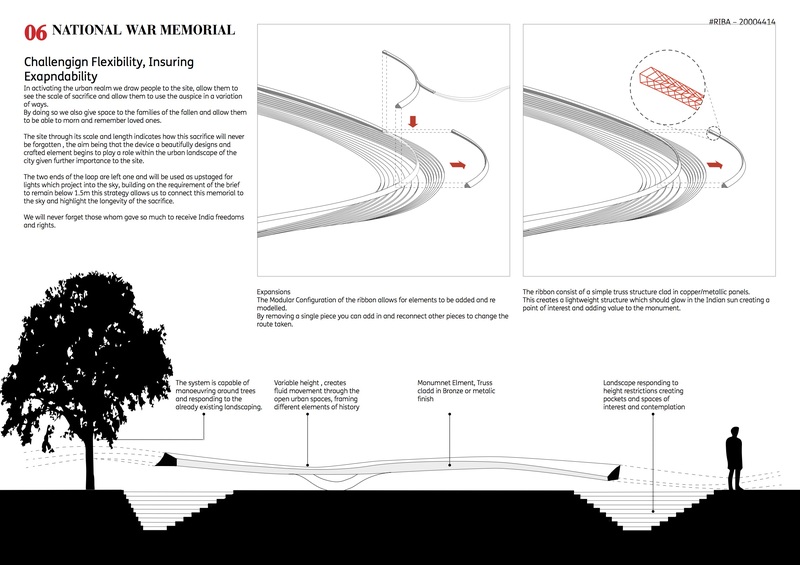 In activating the urban realm we draw people to the site, allow them to see the scale of sacrifice and allow them to use the auspice in a variation of ways. By doing so we also give space to the families of the fallen and allow them to be able to morn and remember loved ones. 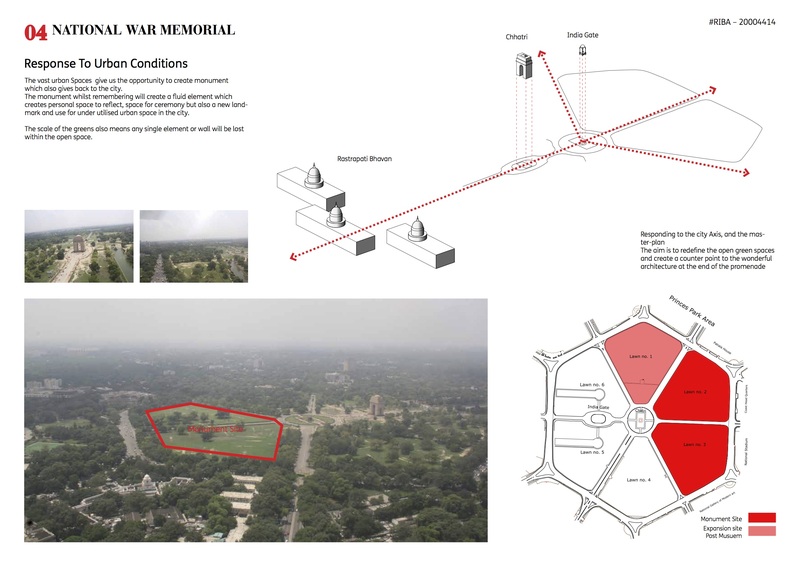 The site through its scale and length indicates how this sacrifice will never be forgotten , the aim being that the device a beautifully designs and crafted element begins to play a role within the urban landscape of the city given further importance to the site. 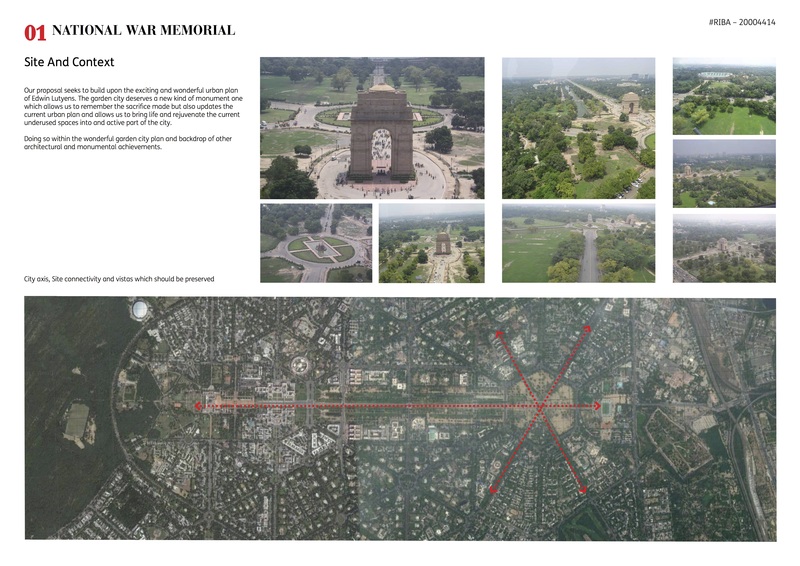 The two ends of the loop are left one and will be used as upstaged for lights which project into the sky, building on the requirement of the brief to remain below 1.5m this strategy allows us to connect this memorial to the sky and highlight the longevity of the sacrifice. We will never forget those whom gave so much to receive India freedoms and rights.